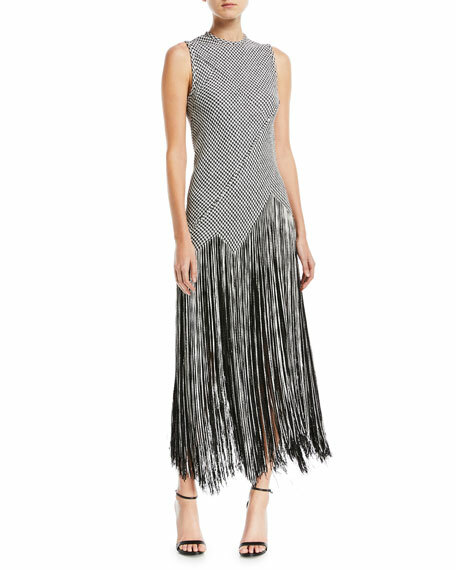 Proenza Schouler dress in woven houndstooth with fringe skirt. For in-store inquiries, use sku #2504710. Cushnie cady two-tone cocktail dress. 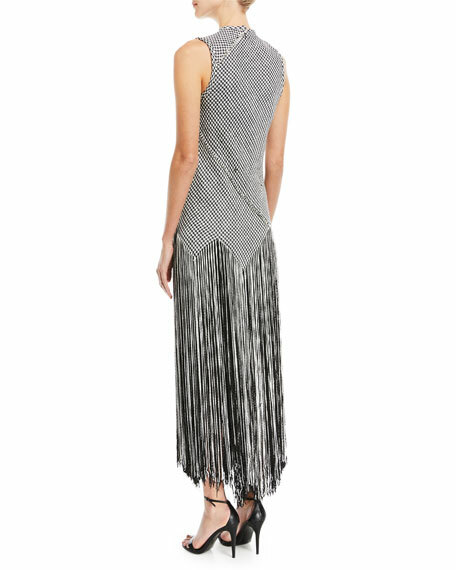 Asymmetric fringe curves through front. Crew neckline. Sleeveless. Body-conscious silhouette. Mini length. Viscose/spandex. Silk spandex lining. Made in USA of imported material. 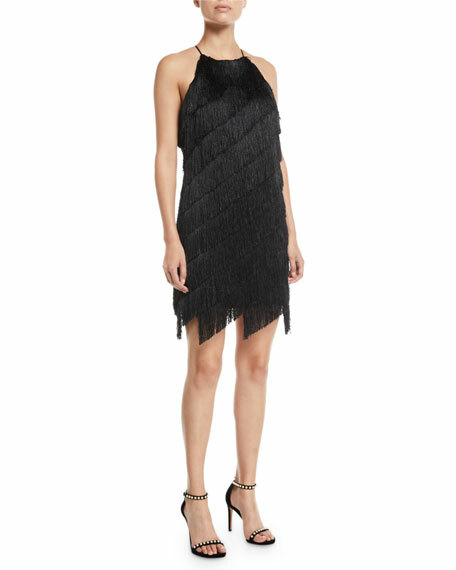 Halston Heritage slip-style cocktail dress in bias-tiered fringe. High halter neckline. Cut-in shoulders. Sleeveless. Uneven hem. Polyester. Dry clean. Imported. 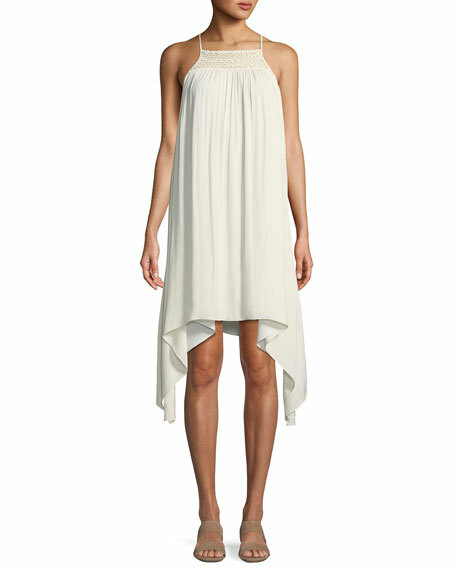 Halston Heritage dress with smocked yoke. High neckline; racerback. Sleeveless; cut-in shoulders. Flowy trapeze silhouette. Asymmetric hem. Polyester. Hand wash. Imported. 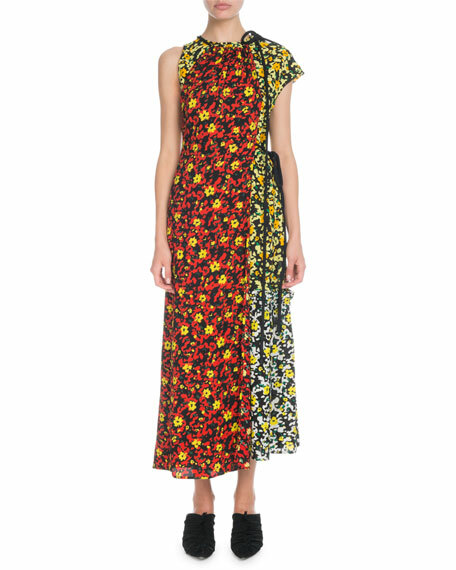 Proenza Schouler asymmetric dress in mixed poppy wildflower-print. Tie details at shoulder and sides. High neckline. Sleeveless right; cap sleeve left. A-line silhouette. Hidden back zip. Ankle-length. Viscose. Made in USA of Italian materials.